on my favourite music video director, Michel Gondry. I love his work and the fact it can only come out of his brain! The same can be said of Spike Jonze. I am featuring another iconic director and, when honing down to ten videos, it is quite a hard task! The hallmarks of a Jonze video the fantastical and strange. It will make more sense when you see the videos but I love the fact he can bring us into his odd and beguiling world and create these unique videos. I recall discovering his work at a young age and having my eyes open, in a vivid manner, by these wonderful videos. Where Gondry experiments with multiple images and creating these very big and colourful palettes; Jonze plays more with the sunny and delightful. He has produced some darker work but I think Jonze’s main asset is the ability to make you smile and get into this very giddy and safe headspace. That might sound strange but you just need to look at the videos and you will definitely have your spirits lifted. Pitch: The video begins as Björk emerges from an extremely dirty washroom in an auto shop. She dances along with the auto workers for the first chorus before emerging from the shop. During the second chorus, she dances tap with a few people outside of the auto shop. Björk continues to walk along the street, dancing with several elderly women and their umbrellas before settling to rest her arms on top of a mailbox for the final verse. The mailbox comes alive and dances along with Björk during this chorus. Björk then runs down the street and into the road, where the rest of the town has decided to join her for one large dance number. 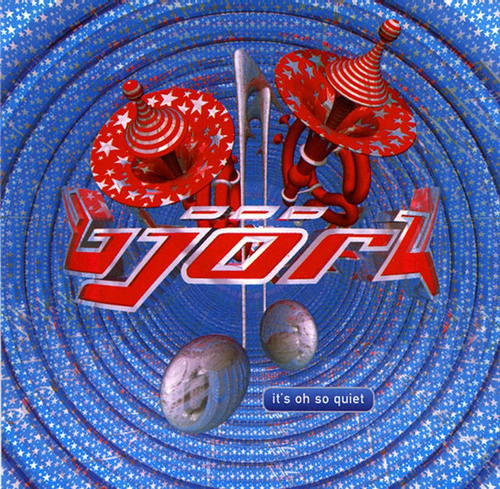 The video ends with Björk floating up above the townsfolk and hushing the viewer. Standout Moment: (1:44-1:53): Björk emerges from the auto shop and dances with a delivery worker who lifts her onto the bonnet of a car with delight. Pitch: It focuses on the character Charles (Tony Maxwell), an anthropomorphic dog in a leg cast with a crutch wearing urban clothing. Charles, who has lived in New York City for only one month, is shown walking around with a boombox blasting Da Funk at a high volume. His hobbled walk is made fun of by a pair of children. He is turned down when he attempts to participate in a public survey. His boombox annoys a bookseller on the sidewalk from whom Charles buys a paperback novel entitled Big City Nights. Charles meets a woman named Beatrice (Catherine Kellner), who was once his childhood neighbour. They agree to have dinner together at her home, traveling by way of a city bus. Beatrice boards the bus, but Charles is startled by a sign stating ‘NO RADIOS’. As he is unable to turn off his boombox (which is earlier indicated to have a broken/missing volume button) he reluctantly remains at the bus stop, as the bus drives off with Beatrice. Although there has been a lot of debate as to the symbolism and meaning of the video, Thomas Bangalter (Daft Punk) has said there is no meaning and it is as we see on screen – and hopes there will be a sequel one day. Standout Moment: (4:52): Beatrice is on a bus that leaves Charles. There is a pained look on her face as it drives away leaving Charles on crutches looking solemn. Pitch: Like quite a few Spike Jonze videos, this one sees an interplay between animals and humans. Where his work for Daft Punk on Da Funk projected a human as a dog and there was this cute unfolding story; Drunk Girls is a more eye-watering and unhappy tale that was co-directed by James Murphy (LCD Soundsystem). Murphy and bandmates Nancy Whang and Pat Mohoney are trying to sing and are abused by people dressed as pandas – if there was a single hallmark of a Jonze video it is humans dressed as animals! Shot at Factory Studios in Brooklyn, New York, it is one of his simpler videos but is incredible effective and, yes, fun. Strangely, as LCD Soundsystem are being attacked, you sort of root for the pandas – or is that just me?! Standout Moment: (1:00-1:16): James Murphy attempts to remain calm as two panda-people pour confetti/glitter on his head and poke him – eventually pushing him away. Pitch: The video was directed by and Jones (and Tamara Davis) and shot in Los Angeles. Much of the video footage was shot by Jonze while riding on a skateboard, following others in the streets (including then-skateboarder, now-actor Jason Lee). The video also alluded to the shooting death of Joseph Cole (an American actor shot during an armed robbery) - but is not specifically about him and more about friendship between two skateboarders. 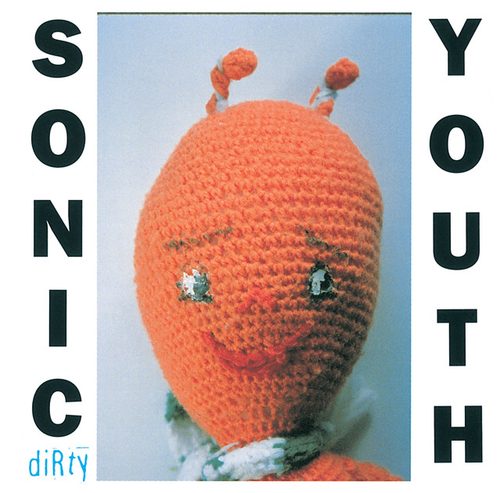 Sonic Youth is shown playing a house party throughout the film. Kim Gordon plays a yellow Fender bass guitar - which she borrowed from actor Keanu Reeves. Standout Moment: (1:24-1:28): A shot of skateboarders riding through traffic, shot in black-and-white, is a particularly memorable image. Pitch: Whereas a couple of Spike Jonze’s best videos are co-directs, this is the man himself solo and creating one of the most iconic videos ever. Buddy Holly’s video was filmed at Charlie Chaplin Studios in Hollywood over the course of one full day of shooting. The video portrayed Weezer performing at the original diner Arnold’s Diner from the 1970s T.V. show, Happy Days. The video combined contemporary footage of the band with clips from the show. Happy Days cast member Al Molinaro made a cameo appearance in the video. 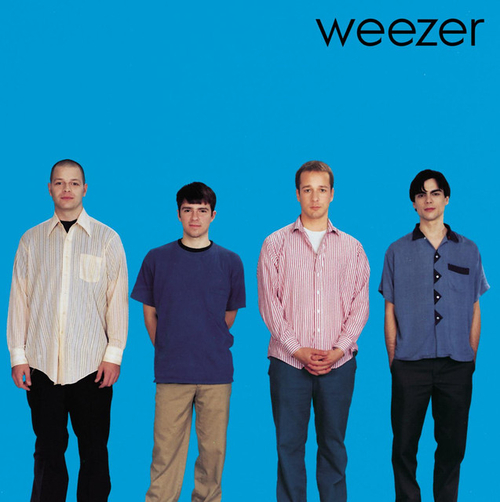 Molinaro plugs his hometown, Kenosha, Wisconsin, as the hometown of Weezer in the introduction - though the band, in fact, was formed and based in Los Angeles. In the climax, the video's stylist Casey Storm body doubled, and this allowed Fonzie to dance to the band's performance. The video also features brief cameos by some members of the band as dancers at Arnold's. Standout Moment: (2:07-2:09): The Fonz (Henry Winkler) is seen striding in the diner and, after shooting a nod of the head and a smile, walks out of shot. Pitch: The video for Cannonball was directed by Jonze and Kim Gordon (Sonic Youth). It features the band in a garage and the Deal sisters in what seems to be a dressing room trashed with clothes, sitting in a chair together. There are also shots of a cannonball rolling down suburban streets, as well as a shot of Kim Deal underwater. Standout Moment: (2:00-2:03): That infamous and ultra-cool shot of Kim Deal singing underwater is pretty hard to top! Pitch: This is another solo outing for Jonze and, again, is truly iconic! It depicts a mixed artistic gymnastics competition with his future-wife, Sofia Coppola as one of the competitors. It is an original angle for a music video and one that captivates in its simplicity and delight. It has been dubbed one of his best videos and a lot of people love it – not hard to see why! Standout Moment: (4:15-4:21): One of the competitors, played by Sofia Coppola, injures herself whilst performing a move and we see her pained face. The camera pans to her coach who is stoic and then to a couple of smug women in the crowd who take great delight in the setback. Pitch: There are few videos with a simple pitch that manage to stun you into disbelief! In fact, the premise is simple yet shocking: we follow a man on fire as we track him in slow-motion. He runs through the streets and everyone sort of gets on with their day. It is not truly explained whether this is self-immolation or a protest; a joke or something else. The video is just over two minutes in length and, as the final shot sees a child asleep on a bus, one wonders whether the images are a dream or emphasis regarding the casualness or people around this horrific event – it is a hot and sweaty day so maybe it is too sweltering to notice anything around. Standout Moment: (0:02-0:45): The stunning transition from seeing the man’s legs on fire – taking up the bulk of that time – to seeing the face and arms. The man, rather humorously, seems to be checking his watch as though he is on a timed run! Pitch: I have saved two of Jonze’s very best for the end! This one, actually, was another co-directed – this time with Roman Coppola. Jonze starred in the film under the pseudonym Richard Koufey, along with a fictional dance group: The Torrance Community Dance Group. The video intro described it as ‘A Torrance Public Film Production’. The video was shot guerrilla-style – that is, on location without obtaining permission from the owners of the property – in front of puzzled onlookers outside a movie theatre in Westwood, Los Angeles. In the video, Jonze and the dance group, acting as a flash mob, dance to Praise You, much to the chagrin of a theatre employee who turns off their stereo. One of the actor-dancers in the fictional dance group, Michael Gier, documents the making of the Praise You video on his website. The Praise You video was made only because Jonze, unable to work with Fatboy Slim on the video for The Rockafeller Skank, recorded and sent his own solo dance video to ‘Skank’ as a gift; Jonze's 'alternate' music video was so well received by Slim that Jonze's fictional Torrance Community Dance Group was green-lighted for the official video for Praise You. Standout Moment: (2:20-2:34): That dude has some mad skills! Pitch: I have saved the best for last: the majestic video for Beastie Boys’ Sabotage (and my favourite video from Jonze)! The song's music video was played extensively on MTV and is a homage to, and a parody of, 1970s crime-drama shows such as Hawaii Five-O, The Streets of San Francisco and Starsky and Hutch. The video is presented as the opening credits of a fictional 1970s-style police show called Sabotage, with the band members appearing as the show's protagonist. Each band member is introduced as a fictional actor, and the names of the characters are also given. Some scenes had to be removed when the video was shown on MTV, including a knife fight sequence; a falling-off-a-bridge scene, as well as a scene in which a man is thrown out of a car into a street. Standout Moment: (1:52-1:54): The miscreant the band is chasing (as detectives) ‘falls’ from the bridge (a very obvious dummy) in a really funny shot.